This entry was posted on March 27, 2010 at 12:00 am and is filed under CorsixTH. You can subscribe via RSS 2.0 feed to this post's comments. Sorry, I’m confused. What is the relationship between CorsixTH and OpenTH? But it’s really fast progress and almost playable, I’m very impressed of the fast and good development of CorsixTH. This is so great. Im more and more impressed each time. It seems that CorsixTH is getting somewhere and rather fast. This must be about the fifth attempt to make a TH remake (that I am aware of) and this one seems to keep on going strong. Keep up the good work guys and remember, it took Open TTD 6 years to come up with version 1.0 and that with dozens of coders, hundreds of volunteers and thousands of people joining their forum. I sincerely hope CorsixTH will grow into a monster. Beta 2 is very playable, very cool! Waiting for the goals in beta 3.
downloaded but its just too difficult to install, ive got a mac and would love to play TH on mac. But its impossible with all this compiling and stuff. Can we not jsut have a simple download that does everything? I so missed playing TH so much over the years and discovered this version just last nite. However, is anyone having the same problem once the scientists discover the surgery room and you start building it? The second I want to confirm the surgery room at the end the windows freeze. (Window with the confirmation of the room as well as the litte explanatory text for the surgery room.) I can still see the patients moving around but I cannot do anything. Neither save nor close the message windows. I can only shut down the whole game… unsaved. Keep up the good work its looking great. Like Kyle, I’m having trouble getting it working on Mac. After several hours, I’ve downloaded and installed XCode, MacPorts (which needed XCode), and done “port install libsdl_mixer” in Terminal. Another problem: Your Google Code website is down. It gives me a “server error”. I have managed, WEB hosting services in Japan. We are very interested in developing your project “OpenTH”. 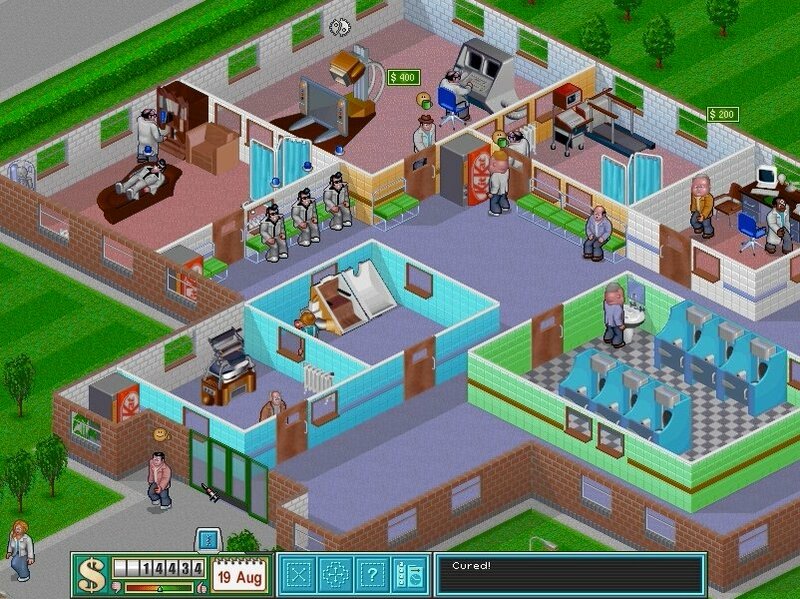 this is very interesting project, Because I think “Theme Hospital” is a very fun game. So I think this game tell the people of Japan. Theme Hospital was released in Japan were Japanese translation. But it did not become famous. So, I thought. I can tell the fun of this game to many Japanese. OpenTH let correspond to Japanese. also my team will cooperate Japanese translation. I will open “OpenTH”‘s pages written in Japanese on my server. I will also help support the Japanese people.